I am really excited about this opportunity to create and expand the feeling of love in the hearts of you all on such a special, sentimental night! I will guide you into a gentle and easy heart chakra meditation on the quality of love, which will have layers of assistance for those of you who have a hard time meditating and plenty of openness for the skillful meditators who would like to have a group meditation experience. The evening will begin with gathering casually, introducing ourselves and then I will give a short talk and introduction to the meditation. Any one is welcome to share before and after meditation. We will have a full 30 minutes to explore the silence of the heart within this group practice, and then close with questions and a ten minute Earth Peace Meditation practice for radiating the love and peace to the larger community. 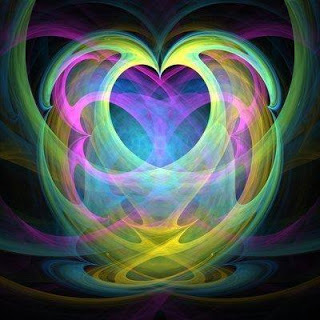 Event Description: Join us for generating love on Valentine’s Day, with heart focused meditation experience. We will gather for a short introduction to meditation, where multiple options for heart meditation will be described in depth, and questions answered. Sitting in the stillness of the meditation experience will be the central focus. Heart Meditation generates a peaceful and dynamic energy which can be felt by most participants. The event will proceed with further sharing and questions with a wrap up short yogic meditation practice for sharing and radiating that love energy generated to the heart of the world. Coffee Catz continues serving after this event if you would like to purchase beverages or snacks.